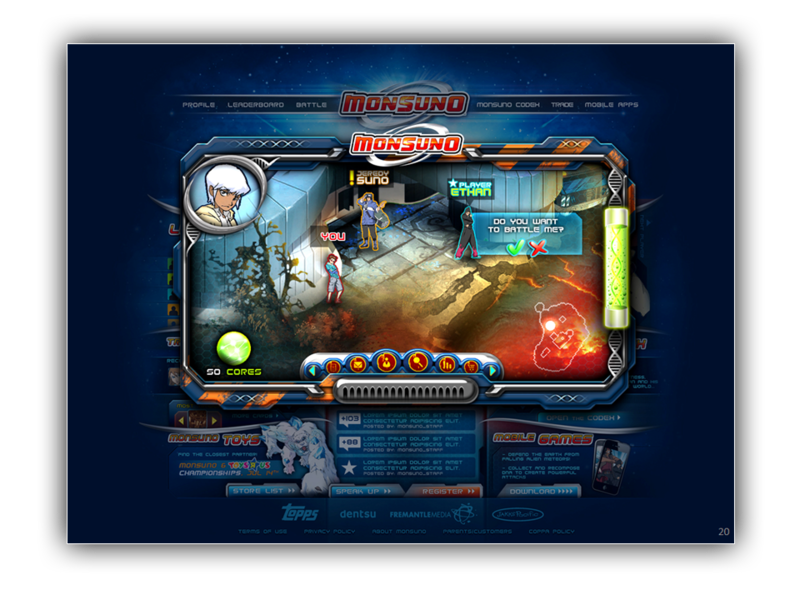 Monsuno is a line of collectible toys and trading cards, coupled with a cartoon, recently launched by Jakk’s pacific. I led our pitch, with a very small team (a Creative Director/copywriter and an Art director) to try and get the client in our roster. (Even though the client reacted very positively to our presentation, they chose to go with a local, smaller agency). For this pitch, I developed the entire 360 strategy, the campaign “look and feel” as well as designed the digital properties. 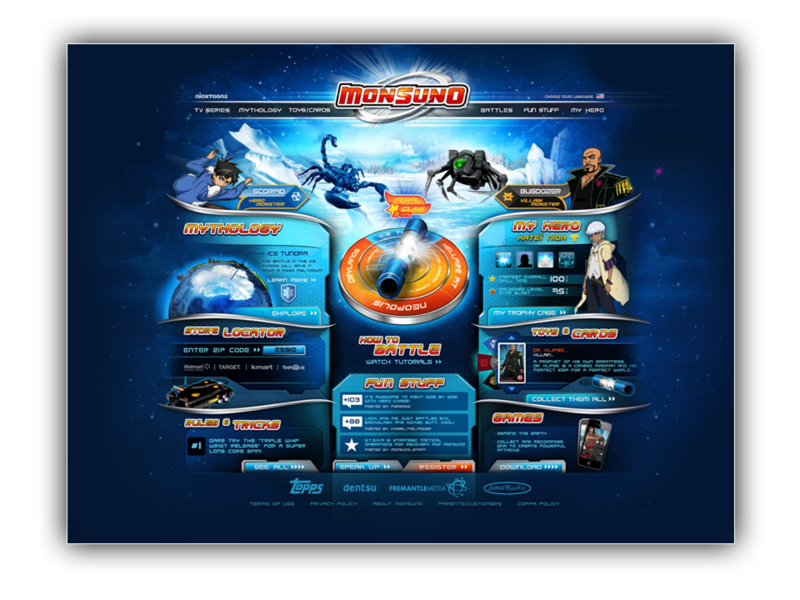 The concept of the entire campaign was to embed a virtual world within the launch website and to educate our young users about this new franchise. 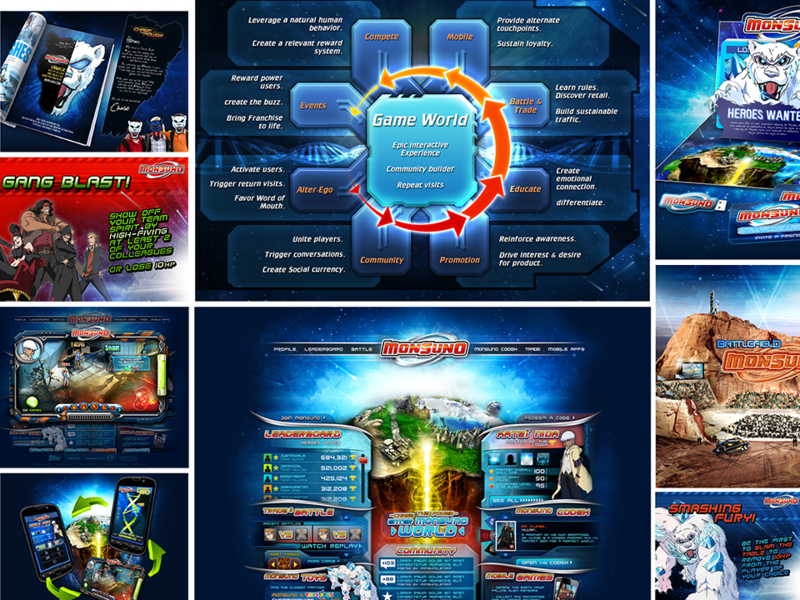 Particularly for a new launch, where local players can be scarce, the virtual world allowed us to give players exposure to one another, battle remotely, and create an unprecedented buzz in the category. 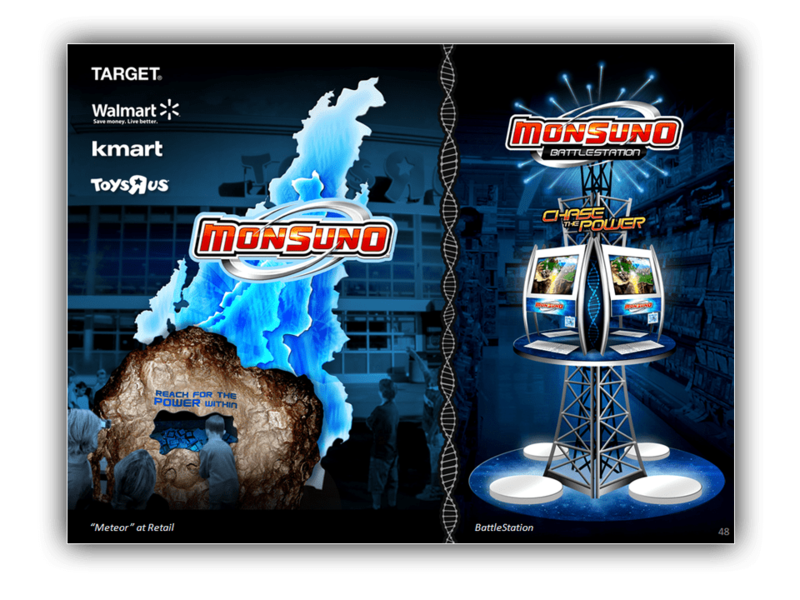 The virtual world also opened many opportunities for digital activations and rewards. 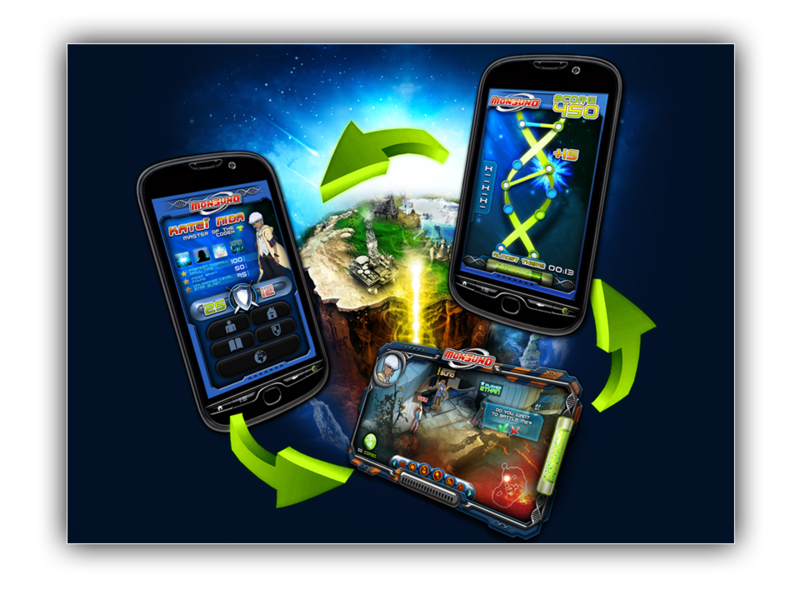 In addition, we planned to release a couple of mobile activities that allowed users to connect with their digital avatar, grant him some perks, and stay tuned with the online world. Posted in Advertising, Digital, Gamification, PrintBookmark the permalink.